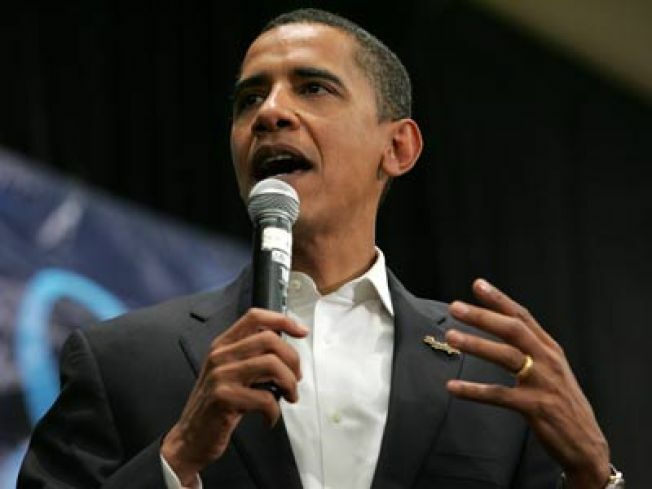 President-elect Barack Obama is promising to create 2.5 million jobs through an infrastructure rejuvenation program. President-elect Obama, who had promised while campaigning to save 1 million jobs, committed himself Saturday morning to an expanded “Economic Recovery Plan” that will save or create 2.5 million jobs during his first two years in office through such measures as road and bridge repair and investments in clean energy. Along with his expanded jobs plan, the president-elect gave his most pessimistic assessment of the economy to date, warning for the first time of “a deflationary spiral,” which occurs when falling prices cause cutbacks in jobs, spending and production. The warning follows a Friday stock market rally that followed the leak of the news that Obama’s choice for Treasury secretary is Timothy F. Geithner, president of the Federal Reserve Bank of New York. The announcement is planned for Monday in Chicago. Obama’s remarks on Saturday were designed to prepare Americans for the reality that although he plans immediate action, the economy probably will not immediately get better. Private forecasts see steep job losses next year, with continued losses in 2010. So the Obama plan would reduce the losses, not mean a net increase in jobs, at least in the first year of the plan. Advisers think it could lead to net job creation after two years. Two years is an unusually long time for a stimulus plan. But such plans typically are designed as a jumpstart until monetary policy – typically interest-rate cuts – can kick in and the economy can recovery. But this economy looks like it’s due for a prolonged slump, with interest rates already low. During the campaign, Obama had talked about a $175 billion program for middle-class recovery, including $65 billion for tax rebates, $25 billion for infrastructure spending, $25 billion in aid to states, $40 billion for a new-jobs tax credit, $5 billion to expand loan guarantees for small business, with the rest going to aid to automakers and expanded unemployment insurance. Separately, Obama has promised to create 5 million “green collar jobs” by “strategically investing $150 billion over the next ten years to catalyze private efforts to build a clean energy future.” That commitment suggests a higher quality of jobs, not just sheer numbers..
“Good morning. The news this week has only reinforced the fact that we are facing an economic crisis of historic proportions. Financial markets faced more turmoil. New home purchases in October were the lowest in half a century. 540,000 more jobless claims were filed last week, the highest in eighteen years. And we now risk falling into a deflationary spiral that could increase our massive debt even further. “While I’m pleased that Congress passed a long-overdue extension of unemployment benefits this week, we must do more to put people back to work and get our economy moving again. We have now lost 1.2 million jobs this year, and if we don’t act swiftly and boldly, most experts now believe that we could lose millions of jobs next year. “There are no quick or easy fixes to this crisis, which has been many years in the making, and it’s likely to get worse before it gets better. But January 20th is our chance to begin anew – with a new direction, new ideas, and new reforms that will create jobs and fuel long-term economic growth. “I have already directed my economic team to come up with an Economic Recovery Plan that will mean 2.5 million more jobs by January of 2011 – a plan big enough to meet the challenges we face that I intend to sign soon after taking office. We’ll be working out the details in the weeks ahead, but it will be a two-year, nationwide effort to jumpstart job creation in America and lay the foundation for a strong and growing economy. We’ll put people back to work rebuilding our crumbling roads and bridges, modernizing schools that are failing our children, and building wind farms and solar panels; fuel-efficient cars and the alternative energy technologies that can free us from our dependence on foreign oil and keep our economy competitive in the years ahead. “These aren’t just steps to pull ourselves out of this immediate crisis; these are the long-term investments in our economic future that have been ignored for far too long. And they represent an early down payment on the type of reform my Administration will bring to Washington – a government that spends wisely, focuses on what works, and puts the public interest ahead of the same special interests that have come to dominate our politics. “I know that passing this plan won’t be easy. I will need and seek support from Republicans and Democrats, and I’ll be welcome to ideas and suggestions from both sides of the aisle. But what is not negotiable is the need for immediate action. Right now, there are millions of mothers and fathers who are lying awake at night wondering if next week’s paycheck will cover next month’s bills. There are Americans showing up to work in the morning only to have cleared out their desks by the afternoon. Retirees are watching their life savings disappear and students are seeing their college dreams deferred. These Americans need help, and they need it now.